A.J. 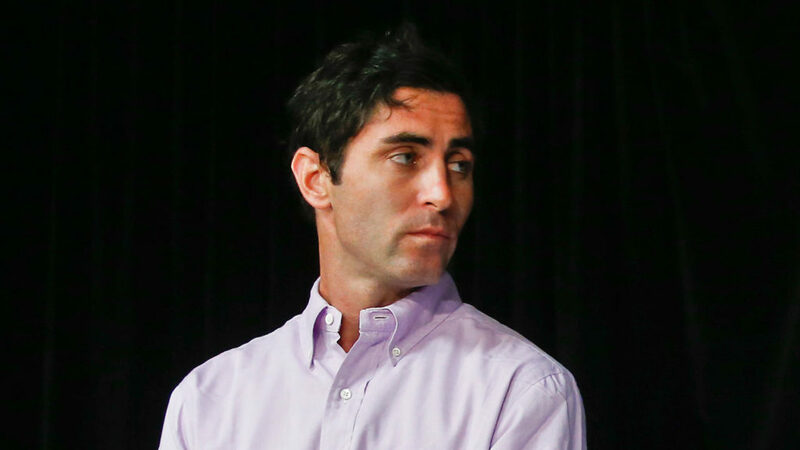 Preller and the San Diego Padres made several moves on Tuesday, as expected. Here is a look at the day’s events as several players were added and subtracted from the 40-man roster. It was the busiest day of the offseason for A.J. Preller and company as they needed to clear up space on the 40-man roster for at least four prospects. What he did was flip three of his players for prospects, sold one to Japan and designated three players for assignment. Without further ado, here is a list of players that were added and subtracted from the 40-man roster. The first Padre on the chopping block was Brewer, who was dominant in Triple-A but failed to replicate that same success. In Triple-A, Brewer pitched 48 innings with a 3.75 ERA, 2.93 FIP, 2.85 xFIP, and a 1.15 WHIP while amassing an impressive 11.81 K/9 and a 2.81 BB/9. Unfortunately, he got shelled in the 9.2 innings he pitched in the Majors, allowing 10 runs (six earned) and compiling a 5.59 ERA, but his 3.26 FIP and 4.63 xFIP painted a bit of a better picture. He was the first Padre to get bumped off the 40-man roster, as he was traded to the Boston Red Sox for minor leaguer Esteban Quiroz. Quiroz, 27, recently signed with the Red Sox in 2017 after spending seven years Los Tigres de Quintana Roo in the Mexican League and split time with the Red Sox’s Rookie and Double-A facilities. Quiroz hit .299/.413/.598 with seven homers in 104 plate appearances in Double-A with a BB% of 12.5 and a K% of 18.3 while facing younger competition. Lockett was the next Padre to get his name called by the Padres front brass. He was called up to the Padres after posting 133 1/3 innings in Triple-A last season and compiling a 4.73 ERA with 8.0 K/9, 2.2 BB/9, and a 47.3 percent ground-ball rate. However, the Majors proved to be a different story as he was pounded in 15 innings, allowing four home runs and 16 earned runs while walking ten. In return, they get 18-year old Ignacio Feliz. As stated in the above tweet, Ignacio spent the entire year splitting time with both of Cleveland’s Arizona Rookie teams, pitching to a combined 3.00 ERA with a 1.06 WHIP in 45 innings. Eric Longenhagen praised the young pitcher, praising a fastball that “at times, he throws what looks like a true cutter in the 84-87 MPH range” and has a 12-6 curveball that has shown flashes of being plush. It is now up to San Diego to develop the young man into a complete pitcher. Shortly after Brewer and Lockett were sent off, Wick was the next Padre shuttled off the team. A former catcher, Wick impressed in the upper minors with a combined 2.67 ERA and 1.27 WHIP, striking out 64 and walking 31 in 54 innings. While he only got 8.1 innings to prove himself in the Majors, he struck out seven and walked only a single batter in that time. Unfortunately, he got hit hard and allowed six earned runs for a 6.82 ERA. Cubs have acquired RHP Rowan Wick from the Padres in exchange for INF Jason Vosler. Wick joins the 40-man roster, which is at capacity. The Padres sent him off to the Chicago Cubs for an intriguing minor leaguer in Jason Vosler. Vosler is a 25-year old infielder who smacked 23 home runs and 93 RBI with a .251/.330/.467 batting line. While he has suited up at second base four times last year, he mainly split time at third and first base. His lefty bat and power numbers may result in him seeing time in San Diego if he doesn’t get selected in the Rule 5 draft as he is eligible to be selected. San Diego rolled the dice by not putting him on the 40-man roster, but if he makes it through unscathed, he will be an exciting player to watch in El Paso. A somewhat surprising move made by San Diego, Villanueva saw his contract sold to the Yomiuri Giants of the Nippon Professional Baseball League. The third baseman killed southpaws and hit 14 of his 20 home runs against them, but struggled against righties, hitting .189 and six home runs against them. His 27.1% K rate and 6.0% walk rate were a cause for concern as well and he failed to get to a .300 OBP (he was, however, .001 points off with a .299 OBP). While he wasn’t the worst fielder in the league, he wasn’t exactly the best. He was just average with 5 DRS and a -2.5 UZR at the hot corner. The Padres will now look to find another option to play third base and bid adieu to the Mexican third baseman. Out of Spangenberg, Carlos Asuaje and Jose Pirela, it was Spangenberg that got his ticket punched and will be looking to clear waivers. A first-round pick in 2011, Spangenberg slashed .235/.298/.362 with seven home runs in 329 plate appearances while also spending time in Triple-A. It is a surprise that Spangenberg was the one designated for assignment as Pirela has drawn the ire of seemingly every Padres fan and lost playing time at the end of the year, while Asuaje seemed more concerned with improving his Fortnite skills rather than his baseball skills. 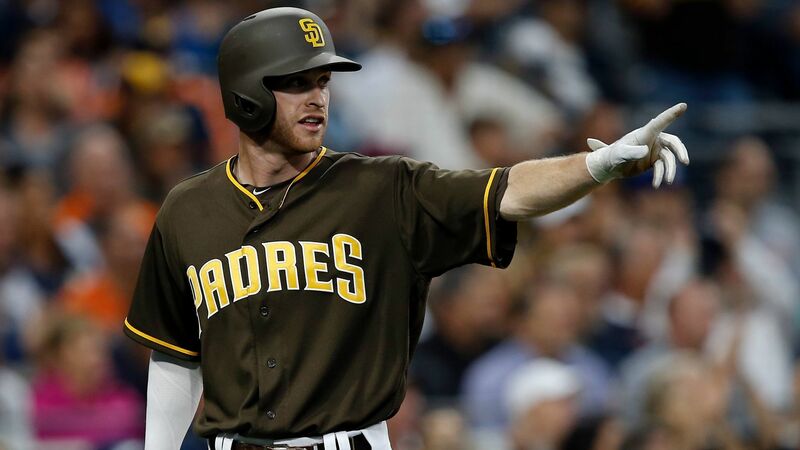 Spangenberg’s main draw is his ability to field multiple positions, as he set up shop at second base, third base, and the outfield while providing serviceable defense at each position. At the price of $2.3 million in arbitration, he may be a juicy addition to a team in need of a player who can field multiple positions and provide decent offense. 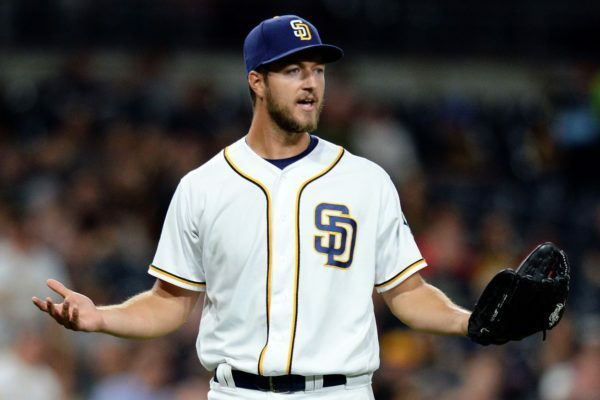 It is not surprising that the Padres designated the right-handed Rea for assignment, as the 28-year-old got shelled at both the Double-A and Triple-A level, getting walloped for a 7.13 and 5.03 ERA respectively. While he only allowed 3 home runs in Double-A, he got shelled in Triple-A giving up 11 home runs in 51.1 innings. These numbers can be excused as he is coming off Tommy John surgery. However, he may be more known because of the trade with Miami that went bad, as Miami cried foul after Rea was hurt shortly into his Marlins debut. While Rea was returned and stuck with the club throughout the injury, it is likely that he clears waivers and comes back to the Padres. This move may have been expected. Cordoba, a Rule 5 pick in 2017, unfortunately, suffered through an injury-plagued 2018 after he suffered a car crash in Spring Training. The side effects dogged him throughout the year and forced him to only play in 45 games in 2018, only hitting .206 with the Lake Elsinore Storm. It is likely that he will also clear waivers and will be sent back to Lake Elsinore. Previous Austin Hedges vs Francisco Mejia: Who Should Padres Keep? The Padres did good to get anything for the players they traded. Thanks for all this info in one article. It was surprising about Spangenberg, but maybe they figure no one will claim him due to his likely arbitration salary. If he’s claimed then it’s good bye. If he goes unclaimed then SD could sign him to a minor league deal, and save money. Why they protected Pirela, I have no idea.